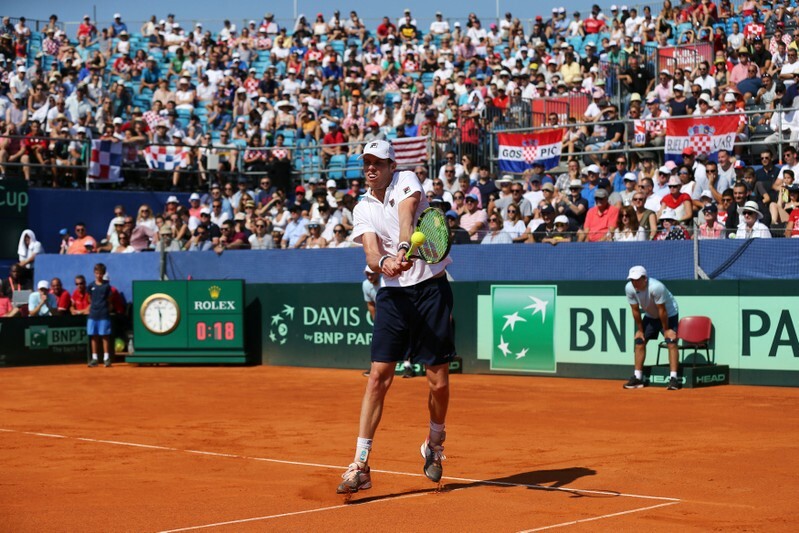 ZADAR, Croatia (Reuters) – Understudy Sam Querrey came from the verge of two sets down to pull off a remarkable four-set victory over Croatia’s talisman Marin Cilic and draw the United States level at 2-2 in their Davis Cup World Group semi-final in Zadar on Sunday. 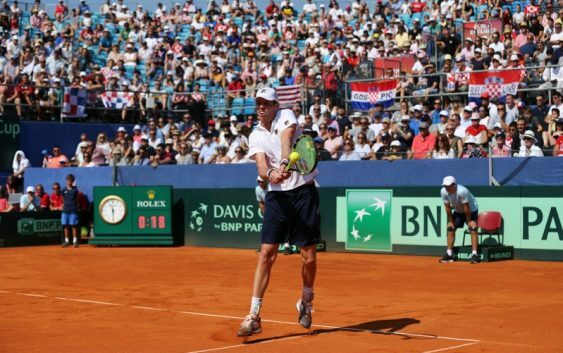 Querrey, drafted in by U.S. captain Jim Courier as a replacement for his number one Steve Johnson, was one set down and saved five straight set points in the second before rallying to earn a shock 6-7(2) 7-6(6) 6-3 6-4 win. It left the tie resting on the outcome of Borna Coric’s match with U.S. debutant Frances Tiafoe in the fifth rubber, with the winner guaranteed to take his country into November’s final against France, who beat Spain in the other semi. The U.S. had been 2-0 down after Friday’s opening singles, but clung on to the hope of reaching their first final in 11 years when 40-year-old Mike Bryan and Ryan Harrison had to fight courageously to win a five-set doubles on Saturday. Courier was rewarded for a bold, if slightly desperate-looking move when he gambled on throwing Querrey into the must-win fourth rubber even though the 30-year-old had never previously beaten Cilic in six attempts.